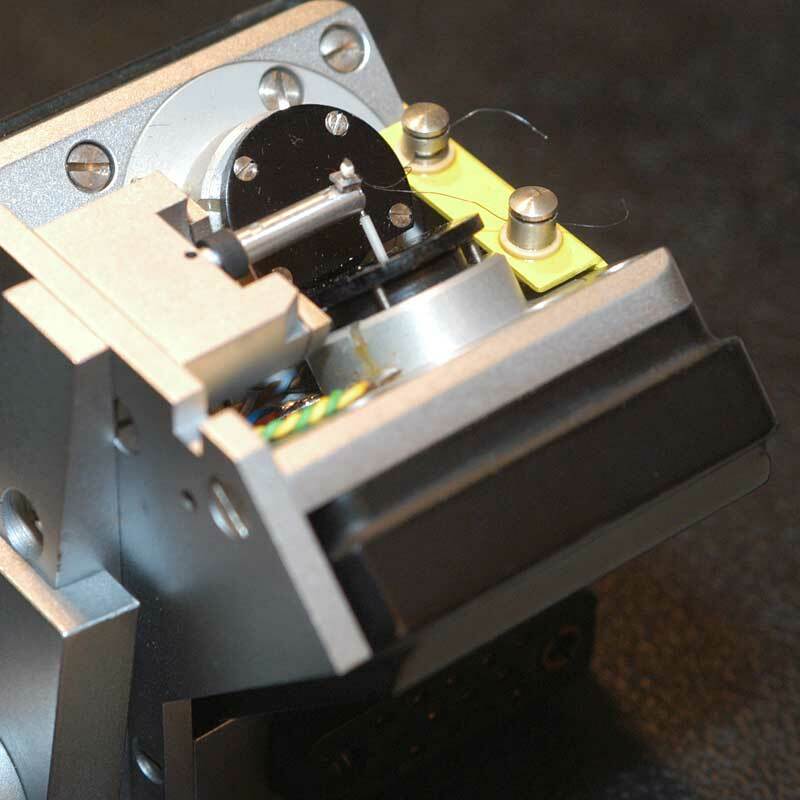 The cutting machine converts the electrical music signal, in the case of an analog source from a tape machine, into mechanical movement of the cutting stylus. Simply put, a cutting machine is a record player whose pickup works in reverse. When playing a record, a voltage corresponding to the audio signal is generated in the cartridge. On the cutting lathe, the groove is cut into the lacquer by the cutter head’s stylus movements, which corresponds to the audio signal. 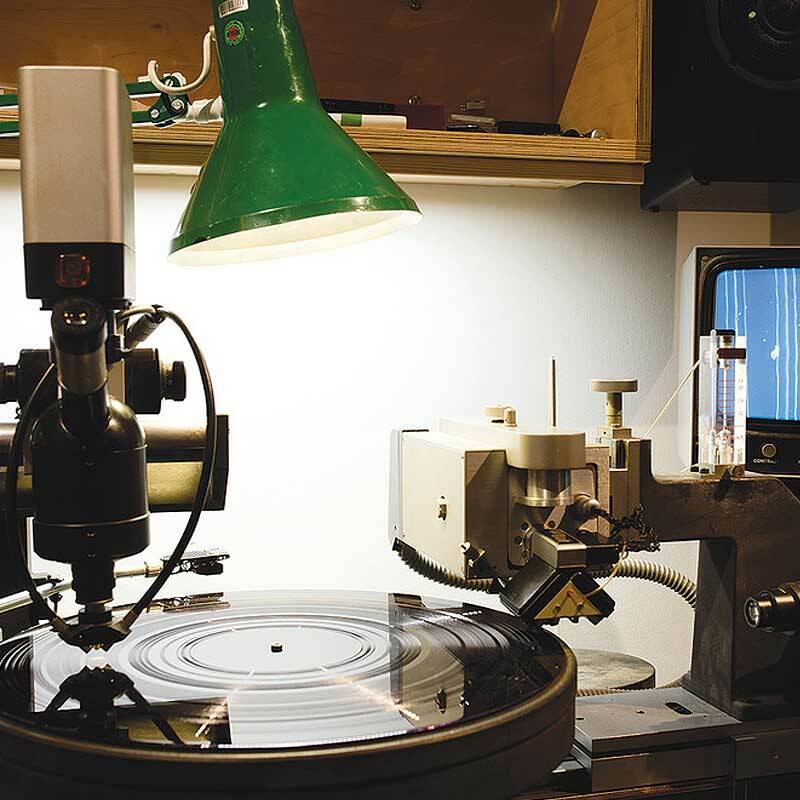 As with record players, the mechanical stability of the cutting lathe’s parts and components is crucial to the sonic result. Today, machines from the US-American manufacturer Scully as well as various generations of the Neumann cutting machine, the VMS 66, 70 and 80 are still being used. From the VMS 70 onwards, the variable pitch technique was made possible and was further developed with the VMS 80. Sonically, the enhancements differ due to less speed fluctuations, through better bearings smoother sound and the extended dynamic range, which the variable pitch technique brings with it. 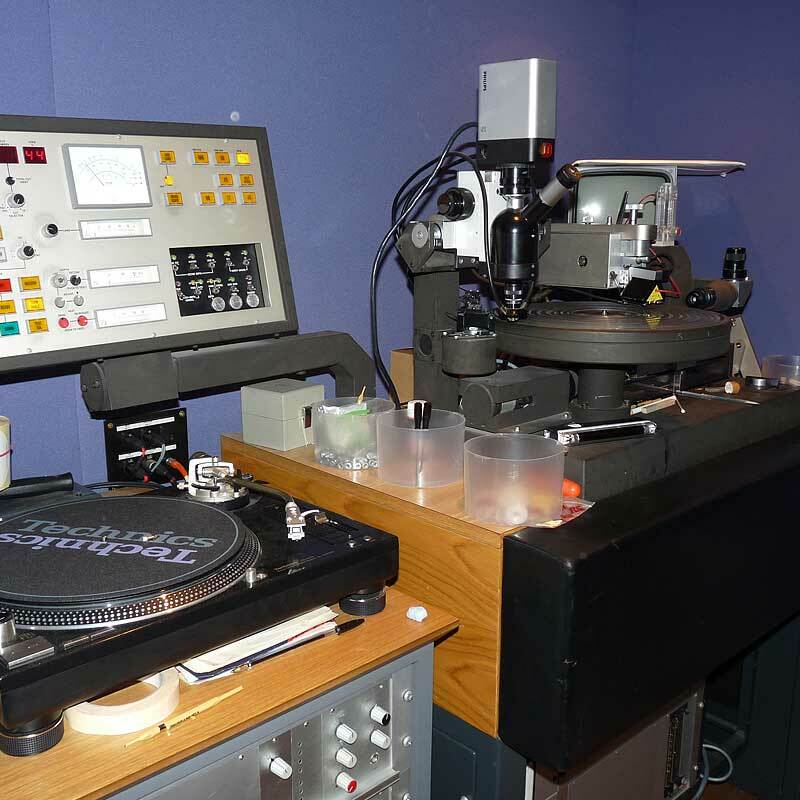 All studios with which Speakers Corner Records works use the Neumann VMS 80 to cut their lacquers. The function of the variable pitch technique has already been explained in the chapter “tape machine”, so it will not be discussed here again. For vinyl lovers, however, it is important that the VMS 80’s well-engineered variable pitch technique not only results in extended playing time, but also in improved sound quality. A basic concept problem in the replay of records lies in the operating principle of the record player itself: The closer the pickup gets to the LP’s center, the more the distortion increases while the information density per revolution decreases. Due to the variable groove width, however, there is less need to cut so far towards of the middle of the LP, while maintaining a constant level of the music signal. Neumann also developed an additional feature for the VMS 80 to suppress pre-echoes, which could be installed optionally. Next to the cutting lathe, another crucial component is the cutter head. Today, Neumann SX-74 and Ortofon DSS-732 are being used. The latter is considered very delicate and is therefore rarely used in general and none of our studios use it. Today, even LPs containing a mono signal are cut using a stereo cutter head. On the one hand, this happens for reasons of compatibility (see Cutting lathe / Formats). On the other hand, unlike stereo cutter heads, mono cutter heads have not been further developed with regard to linearity and distortion reduction. Despite helium cooling, the cutting stylus’ drive coils can burn out, which renders the cut ruined and will make a larger investment necessary. Only a handful of people can repair these machines and spare parts are as rare as they are expensive. The cutting stylus, a heated ruby, is replaced after 10-20 operating hours. They are still being produced by two manufacturers. The cutter head is controlled by the cutting amplifier. 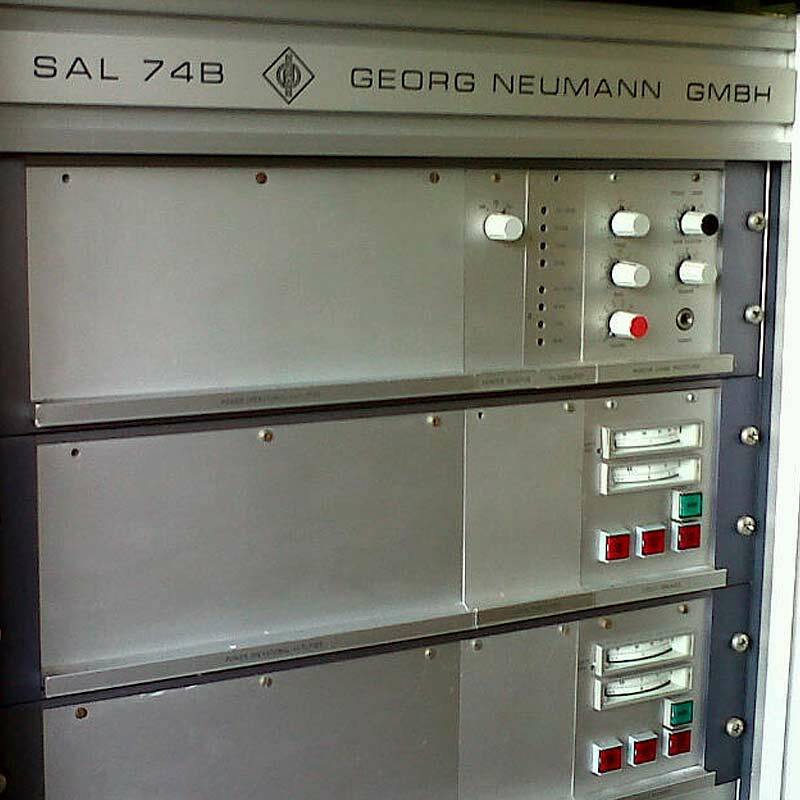 In addition to their cutting machines, Neumann also offered suitable amplifiers. Depending on the preference of the respective studio, however, other manufacturers are also used. These are no ordinary hi-fi amplifiers, but devices specifically designed for this purpose. For one thing, very high output is required, e.g. the Ortofon GO 741 provides 2x500 Watt. Furthermore, the cutting amplifier fits the signal to the RIAA characteristic by filtering lower frequencies and amplifying higher frequencies. The inverted RIAA characteristic is used when records are being played back. Smoothing the frequency response using feedback is another function of the cutting amplifier. It thereby minimizes the cutting stylus’ resonant frequency, which is within the audible frequency range. There are lots of videos on the Internet that explain lacquer mastering. So at this point, we will only a describe the process briefly. Most of the work takes place before the actual cut. First, the cutting engineer must correlate several parameters: the maximum level and the music signal’s dynamics and playing time. Dependent on these parameters, the groove width and the “land” between the grooves are manually preset. For the cut, the lacquer is placed on the turntable and a vacuum is applied from underneath, pulling the lacquer towards the turntable. Thereafter, just like a record player’s tone arm, the cutter head is lowered and the cut can begin. Lead-in and lead-out grooves are cut automatically, the wider groove distances between the tracks are placed manually. The lacquer master must be cut in one go, an interruption is not possible. During the cut, the chip from the lacquer is vacuumed off at the cutter head. With the rise of the stereo LP in the late 1950s, the tip radius of the turntable stylus was standardized to 15μm maximum. Before that, 25μm were common. With a stereo cartridge it was still possible to play the wider groove of early mono LPs, but not the other way around. Today, the thinner stylus is also used for cutting mono LPs. This happens for reasons of compatibility with commercially available cartridges, but also because mono cutter heads are practically no longer existent. Therefore, no special mono cartridges are necessary. Still, they are quite practical, because with a mono needle, the record’s inherent surface noise is substantially reduced. Is an improved sound to be expected of special cuts, e.g. half speed? While creating actual benefits for one aspect, unfortunately other problems will show up elsewhere. Cuts at half speed might allow for a linear frequency range up to 40000Hz and less distortion towards the middle of the disc. Still, the bass response may get worse. Since the tape machine also has to run at half speed, the frequency response’s ripple in the lowest frequencies is shifted upwards by one octave. Furthermore, the filters of both the tape machine and the cutting machine have to be adapted to half speed – a considerable effort, if done correctly. When cutting at 45rpm, distortion will be much lower due to the longer wavelengths cut, meaning that the music information is spread over a longer distance. However, the reduced playback time makes it necessary to shorten the audio material accordingly. Otherwise, the overall level would need to be reduced, which, on the other hand, makes surface noise more prominent. Direct-to-disc cuts, meaning the recording of a musical event directly to the cutting machine, have the advantage that the music signal doesn’t have to be stored on tape first. Another advantage is that direct-to-disc cuts require greater carefulness of everyone involved, since the recording and cutting can neither be repeated, nor edited. In the early 1980s, the German Teldec developed the so-called DMM process (direct metal mastering) in co-operation with Neumann. Here, the signal is not cut into a lacquer disc, but into a copper-coated stainless steel plate. Since the stampers can be produced directly from the metal master, the galvanization of the lacquer and the production of the negative master can be omitted. This means an elimination of possible sources of error. However, the cutting process becomes more difficult. Due to the much harder material, a massively higher performance of the cutting amplifier is needed. Yet, the levels that can be achieved are lower than with lacquer cuts. Additionally, the music signal below 300Hz is only cut in mono. This can be percieved clearly with certain recordings, e.g. an orchestra, in which the double basses usually sit on the far right side. Needless to say, cutting machines are no longer being manufactured. There is a functioning market for used devices, but in any case, substantial investment is necessary. Currently, there are very few people worldwide who have the skills to repair cutting machines. Operating a cutting machine is therefore a very expensive undertaking. Hence, purely analogue lacquer cuts come at a price. Basically, this technology’s development has stopped in the 1980s. 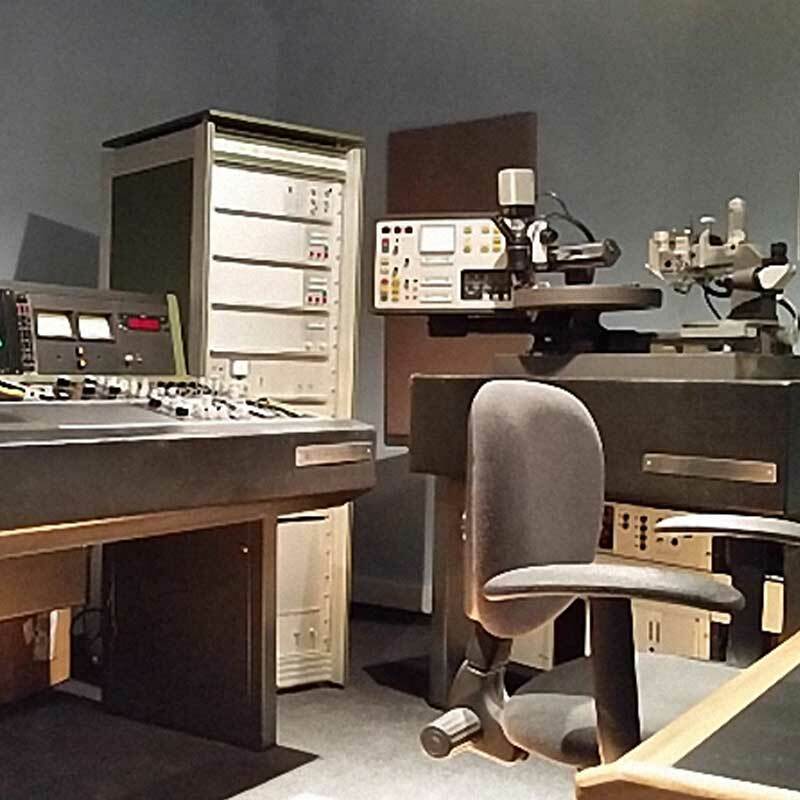 Dedicated studios often modify their equipment in order to digitize various control functions. This allows for more precise interventions – it is, however, paramount for releases from Speakers Corner that the signal path remains 100% analogue.